Camille graduated from Weber State University in 1979 and then trained at the VA Dental Clinic. Besides being our hygienist, she has previously worked for five years for a Pediatric Dentist and at the State Training School for the Handicapped. Camille loves to learn and takes all the continuing education courses available to her. She grew up in Fillmore, Utah and graduated from Millard High School. Camille has three children and now resides in Central Valley with her husband Chris. Sandy has worked twenty-three years in our office as a dental assistant helping our patients feel comfortable and cared for. Her experience is a great asset to our office. She loves the fact that through the years many of the children that came to our office are now grown and bringing their own families in for care! Sandy was raised in Richfield and graduated from Richfield High. She has three children and lives here with her husband David. Her favorite things to do are horse riding, hunting, biking, and camping with her grandkids. Misti has worked for eight years as a dental assistant. 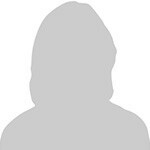 She is our social girl who loves getting to know all our patients and always shows a personal interest in them. Misti is also in charge of our hygiene recall program. Misit was raised in Richfield and graduated from Richfield High. She lives in Annabella with her husband Jayson and their two children. She enjoys shopping, boating, camping, and most of all -- cheering on her teenage children at their sporting events. 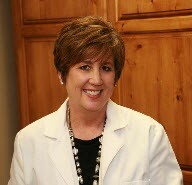 Denise loves working in the dental field and has been doing so for over thirty years. She has worked as a dental assistant, receptionist, book-keeper, orthodontic assistant and treatment coordinator. Denise was born in Texas but lived all over before coming to live in Richfield. She is the mother of five daugthers. Denise lives in Venice with her husband, Don, and her youngest daughter. She likes photography, scrapbooking, decorating, guitar music, and spending time with grandkids.